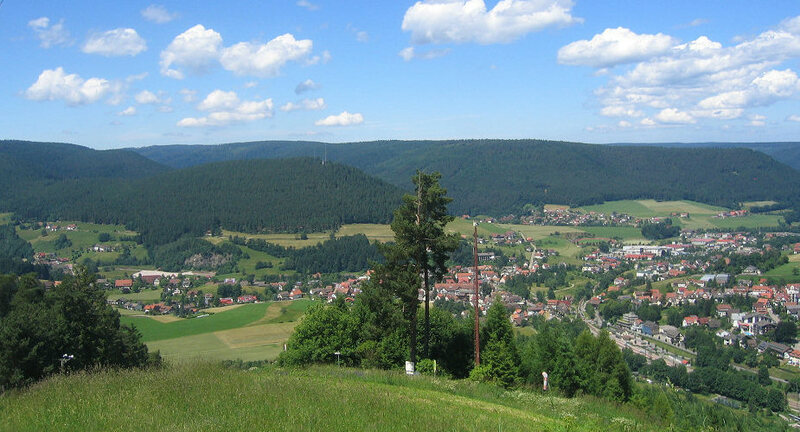 View of Baiersbronn from Stöckerkopf mountain. The Glasmännle cabin, one of the new hiking lodges established around Baiersbronn in recent years, is located on the Stöckerkopf. Incidentally, the ascent to the Stöckerkopf can also be made by chair lift in summer.